The flapjack keeps well stored in an airtight tin. Coconut Flapjack – use the same amount of oats and add in 2oz/55g of dessicated coconut and continue with the recipes above. Apricot and Honey Flapjack – a healthier recipe than the traditional flapjack. Make using 3½oz/100g butter with 3oz/85g soft brown sugar and 3 tbsp honey, 12 oz/350g oats mixed with 3½oz/100g dried apricots, finely chopped and 1 small banana, mashed. Nuts and Seeds – add 2 tbsp chopped mixed nuts and 2 tbsp of mixed seeds such as pumpkin and/or sunflower to the basic mixture. You can also add 100 gm of your favourite dried fruit. One of my favourites is dried sour cherries, or cranberries. Hello! I’ve just moved to the area and would like to join a cycling club and do some rides. I was trying to read your events calendar but it’s quite buggy on an ipad. Could you send me a document with the next month’s rides on please? 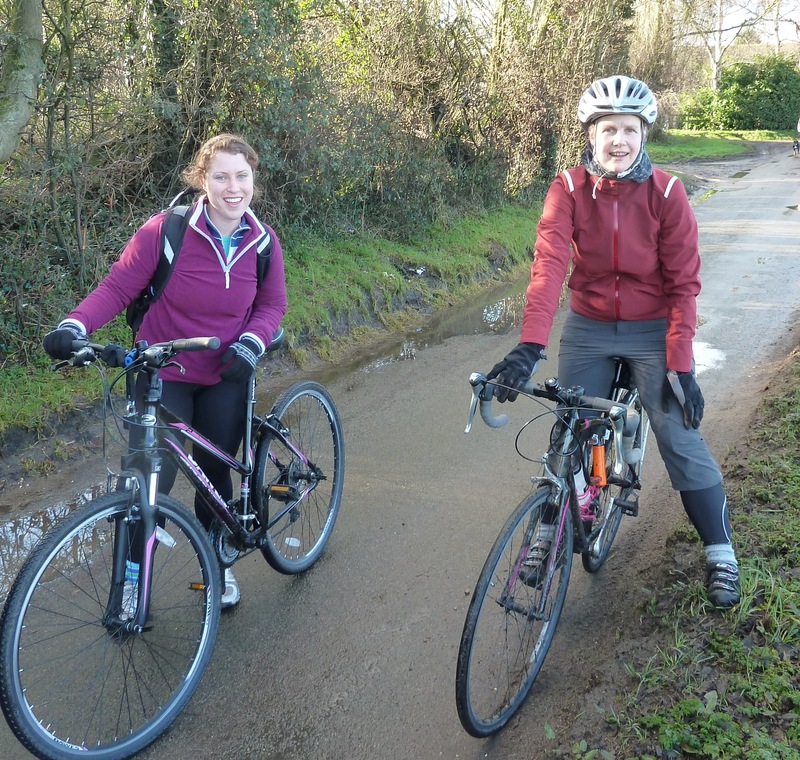 I would like to cycling with the group, where is the meeting point ( I didn’t found it..) for Sunday 26th January?? There are 2 meetpoints: the first is at greenwich, Cutty sark Gardens, by the foot tunnel entrance, at 10am. Then we’ll ride to Ladywell and pick up folks at Ladywell, outside the cafe, Le Delice, on the corner of the road by the station, at 10.30am. By the way, the meetpoint is there in the ride details… did you click on the name of the ride on the calendar… only the names are listed in the calendar till you click on them. Then it brings up all the ride information.